Grandparents Gone Wired Scholarship is open to high school students who are interested in teaching older adults how to text. One student will be selected to win a scholarship for college. Students may enter by first helping either their own grandparents or older adults in their community to use technology. They can reach older adults at senior centers, nursing facilities, retirement communities, places of worship, and other locations. After teaching adults about technology, applicants can apply online for a scholarship through Grandparents Gone Wired by sending a photo of themselves with their older adult using the technology. Grandparents Gone Wired provides teaching ideas for students who want to participate. The scholarship competition involves teaching older adults how to use their smart phone to text with words and emojis. All students who apply will automatically be entered for a chance to win a scholarship. 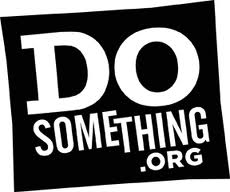 The scholarship challenge is sponsored by DoSomething.org, one of the largest online organizations of young people supporting social change. The organization consists of 3.4 million members who create social campaigns to bring about positive change, including poverty, violence, the environment, and much more.